When Sony and Marvel Studios first announced a collaboration that would allow Spider-Man to scurry on over into Captain America: Civil War, before headlining an entire trilogy of solo movies, comic book fans were beside themselves with excitement. It was partnership long on the cards, even if many dismissed it as wishful thinking from the outset. And yet, here we are. Now that his place in the Marvel Cinematic Universe is secured, all eyes are beginning to turn toward Spider-Man: Homecoming to catch another glimpse of Tom Holland’s Web-Head in action. On the other side of the fence, Sony is making serious headway on their own Spidey-less Marvel Universe, which all kicks off with the launch of Venom in October of next year. Ruben Fleischer is on board to direct Tom Hardy in the title role of Venom/Eddie Brock, and reports suggest Fleischer and his team are gearing up to start shooting across parts of Atlanta and New York this September. But if there’s one question that continues to fuel debate online, it’s whether the MCU and Sony’s Marvel Universe hold some form of connection. Up until now, we’ve been led to believe that the two cinematic universes are independent of one another, thereby debunking those rumors claiming Homecoming‘s Tom Holland would cross over to Sony’s embryonic franchise – or vice versa. Sony’s Amy Pascal went against that logic over the weekend though, after the executive claimed Venom is considered to be a part of the MCU, and will take place “in the same world” as the Marvel-backed movies. 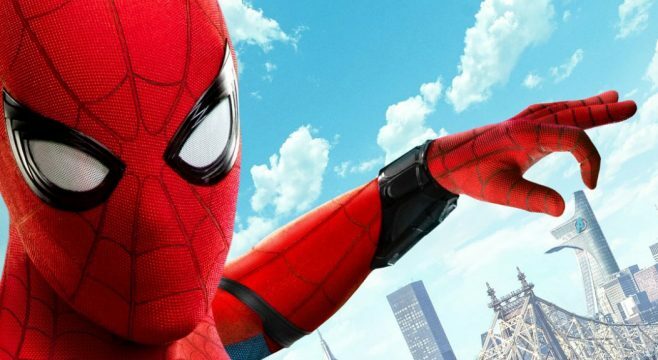 It’s an interesting wrinkle in the ongoing Marvel/Sony saga, and though a vocal minority believes there’s more to this disagreement than meets the eye, until we have firm confirmation for you, allow Spider-Man: Homecoming director Jon Watts’ to clarify Pascal’s comments about Spidey’s tenure in the Marvel Cinematic Universe. I don’t think she [Amy Pascal] meant that in an apocalyptic way. I think she was just trying to say what an unprecedented deal [it was] that Marvel and Sony teamed up. It’s like a once-in-a-lifetime opportunity. I think that is what she was trying to say as opposed to putting a ticking clock [on Spider-Man]. We’re now less than three weeks out from the theatrical release of Spider-Man: Homecoming, and it seems Marvel has another genuine hit on its hands – in fact, early buzz claims Jon Watts’ reset is the best Spidey movie since the much-loved Spider-Man 2. Exciting, right? We’ll be able to see what all the fuss is about for ourselves in no time at all, as the reboot swings into view on July 7th.